Earlier this summer, the CIC staff (Kimberlee Gillis-Bridges, Jacki Fiscus, and Ann Shivers-McNair) attended the Digital Humanities Summer Institute in Victoria, B.C. (thanks to the UW Simpson Center for sponsoring us!). We came back with lots of ideas and resources that we’re excited to share with you, including a bevy of digital teaching tools for you to consider as the summer winds down and we’re turning our thoughts to the fall. They’re categorized by what you could do with them, but many of these tools exceed their categories, so we encourage you to explore and invent new possibilities (and then share them with us!). A demonstration of Scalar’s non-linear composing capabilities. Scalar – Beloved of the digital humanities, Scalar is “a free, open source authoring and publishing platform that’s designed to make it easy for authors to write long-form, born-digital scholarship online. Scalar enables users to assemble media from multiple sources and juxtapose them with their own writing in a variety of ways, with minimal technical expertise required” (Overview). Omeka – Like Scalar, Omeka is a publishing platform. Think of it as a virtual museum, where individual items belong to collections and can be placed within exhibits that tell stories around particular themes. Students can team up on collection and curation, but tell individual stories about the items in their own exhibits. The Cookbook: How to Create Your Own Digital Story – As the name suggests, this is a set of detailed recipes for digital storytelling (rather than a platform for digital storytelling). Especially helpful is the recipe for digital storyboarding, which could be a great way to support students’ invention and drafting process. Storify – You may be familiar with Storify as a tool for creating stories from Twitter hashtags, but its story-gathering and storytelling capabilities also include news and blogging. Storify is easy to use and doesn’t require much expertise. From Carnegie Mellon’s useful guide. Palladio – This is a powerful tool for visualizing historical data in a variety ways: geographic maps, lists, and grids. While we tend to think of visualization tools in terms of representing our analyzed data sets (at the end of the process), visualization tools can also help students invent and analyze early in the process. Poemage – This tool visualizes the sonic topology of poems: “We define sonic topology as the complex structures formed via the interaction of sonic patterns — words connected through some sonic or linguistic resemblance — across the space of the poem.” This could be great for modeling literary analysis. For even more data visualization tools and a discussion of how to evaluate and use them, check out Carnegie Mellon’s helpful guide. An image from Annotation Studio’s site demonstrating the interface. Annotation Studio – This digital text annotation tool has many potential uses not only for reading and annotating but also for composing. One of our colleagues at the DHSI used it to have her students collaboratively create a digital critical edition. Note: The tool is not in stasis, but the MIT team may not be as responsive as they may have been in past. 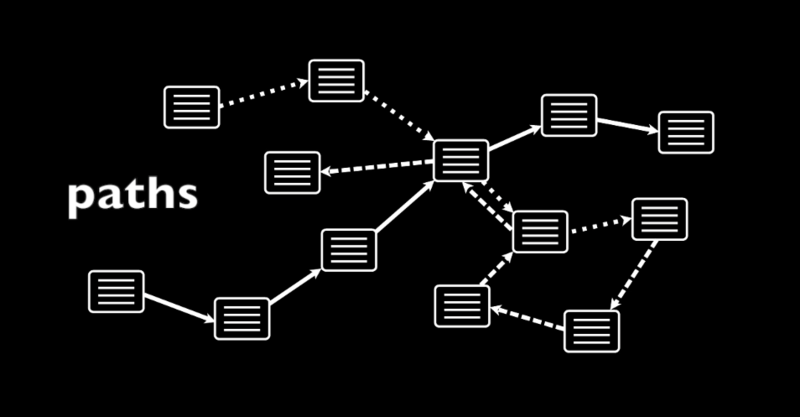 Hypo.the.is: Also a digital text annotation tool, Hypothesis was designed to “leverage annotation to enable sentence-level critique or note-taking on top of news, blogs, scientific articles, books, terms of service, ballot initiatives, legislation and more” (About). This could be an effective tool for teaching rhetorical analysis of public texts. Also: see below for a plug-in that allows students to aggregate their annotations. Check out Teaching Media’s great list of video annotation tools, with detailed discussions of how to use them. 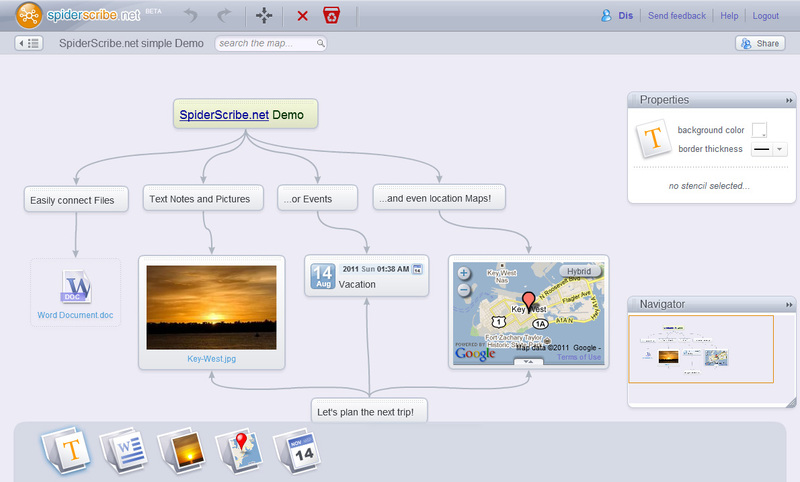 SpiderScribe – This tool is for online mapping, brainstorming, and collaboration. 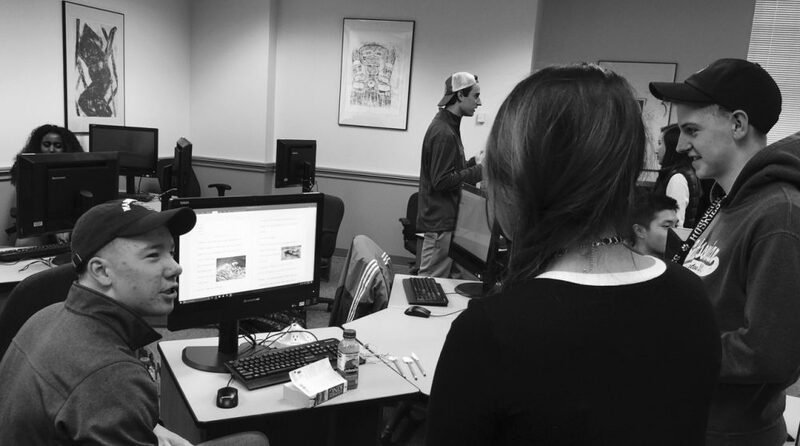 It could support students’ in-process data visualizations and invention processes, as well as collaborative authoring. See also Carnegie Mellon’s expertly curated list of collaboration tools, with discussions of affordances and applications. 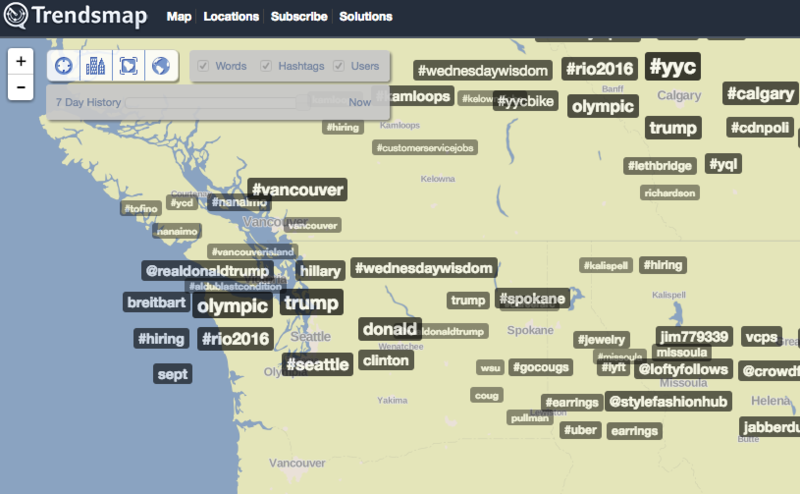 A sample keyword search and visualization from Tweetchup. Also useful for any location-based mapping or visualizing: Geonames, a geographical names database. 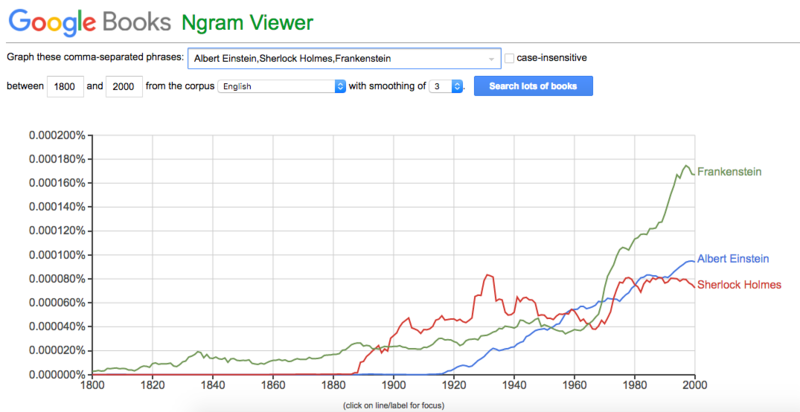 Google Books Ngrams – Chart the occurrences of multiple phrases in the Google Books corpus, but also keep in mind that there are significant limitations to this tool that limit the kinds of questions we can answer and claims we can make. This is by no means an exhaustive list. Let us know what tools you’re using or interested in learning more about! 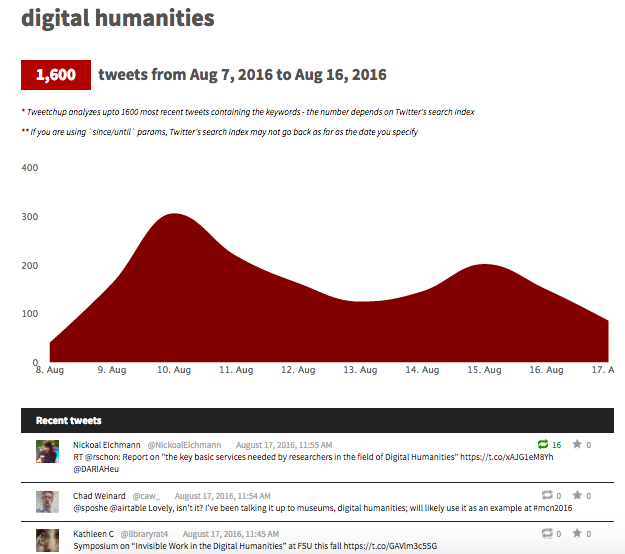 This entry was posted in Teaching Resources and tagged digiped, digital humanities, digital rhetoric, teaching with technology by englcic. Bookmark the permalink.